Cory Booker, the Mayor of Newark, NJ had mentioned that “You cannot find what you do not seek. You cannot grasp when you do not reach. Your dreams won’t come up to your front door. You have got to take a leap, if you want to soar.” If you want an opportunity you will have to go after that opportunity. You will have to chase your dream and really work very hard to achieve it. You can pray to God all you want to about sending you an opportunity but if you stay in your bed all day you will miss out on your opportunity. Somebody else will take your opportunity because they want it so bad and they will go after it. My friend Danielle had shared this following statement with us on Facebook and it is so true to go by. “If you want it GO GET IT…..What are you waiting for? It won’t fall in your lap.UPS, Fed-Ex, DHL or the USPS won’t deliver it. You have put on your gear and go out and GRAB what you want…It’s not stealing. What God has for you is for you but again…NOBODY WILL NOT BRING IT TO YOU…GO GET IT!!!! 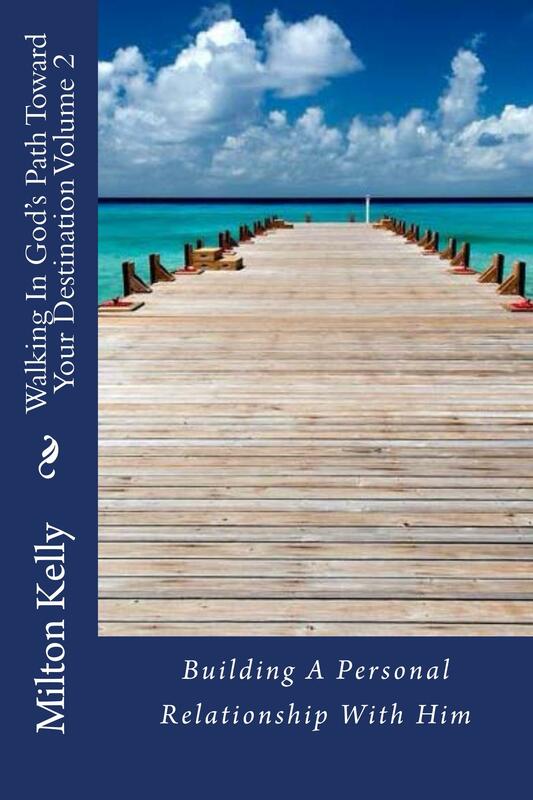 Faith without works is dead.” You have to reach for that dream and follow your passion. Networking is very important in today’s world especially for job seekers. With networking you will have the opportunity to meet individuals from different backgrounds and companies. You will also meet business owners as well. People also can refer you to their friends, family members, their clients and their networks. They can also refer you to their contacts at different companies that you have an interest to work at. Usually people who network on a regular basis will have a better chance for career opportunities than people who are looking for jobs the traditional ways. Speaking of that the old traditional ways of looking for a job is not happening today. A lot of employers are not posting their job openings in the classified ads. Networking is the key to getting jobs in today’s job market. People are getting jobs through individuals that they have relationships with. Networking is not Favoritism at all. You need to add value to other people and organizations or networking will get you nowhere. There is nothing unethical about engaging in networking to advance your career. Your network is your new position. These are the key components that will make up a successful networking experience. The Networking experience is great for meeting new people or friends. This experience is great for connections, searching for new opportunities such as jobs and business deals. Networking is usually in a professional environment. When you are networking you should always be professional. Networking is not going to be easy but it takes a lot of hard work on your part. It is not a one day or an overnight experience but a long process. Communications is the most important component of networking. Without communication you will not have a successful networking experience. You need to be patience. You should be able to communicate or mingle with others. If you are not a people person then networking will not work out for you at all. Networking is also great for professionals and business owners as well. With networking it will give you a chance to meet new people and new opportunities. Business owners are always looking forward to expand their business or finding new opportunities. Professionals always looking for ways to connect with other professionals, especially within their industries. Also they are willing to look for new connections and new opportunities. Networking is also great for partnership such as events, projects and etc. When you are networking you should not be asking for a job or pushing to sell your products and services. Again networking is a process. First you need to make an introduction so you can get acquainted with each other especially if you don’t know that person. Your purpose of networking is to get to know that person and working on to start to build a relationship. This is a great chance for you to make an introduction and give a minute pitch of what you do. They will do the exact same thing with you. Communication is the main key component for networking. Marketing or making a brand of you is another important component of networking. We have to learn how to market ourselves. We can’t hide behind a company or our business cards because we are actually the brand. We have to sell ourselves to others. What kind of images that you are representing. Again you can’t have a negative mindset. You need to have a positive mindset and have confidence in yourself. People will notice if you have lack of confidence or you have a negative mindset. When you are attending a networking event make sure you are mingle with others. You should never be late for a networking event. You should arrive at least 15 minutes before the event starts that way you can get a chance to have more time to mingle with others. Also you will have a chance to meet and talk with the organizer of the event. You don’t want to be late because you really don’t want to miss anything at the event. Also you don’t want to disturb anyone who is attending the event. These events are very informal. You will get a lot of information and tools to help you with being successful in your business and career. This is just like going to a seminar. You should always have plenty of business cards with you. Some people have issues about themselves because they do not like the way they look. They put negative thoughts in their mind. There is a woman on Facebook who is a mutual friend of one of my friends on Facebook. She had emailed me to tell me that I was attractive and she wanted to date me. I didn’t respond to her email. A couple of weeks later she had gotten on Facebook and posted on her page that I did not respond back to her email. Somebody had told her maybe he is not into you because you live in one State and he lives in another State. Maybe he just not into you and you just have to move on. She had responded and said that she don’t put her picture on Facebook because she feel that she is not attractive. She also had issues about her weight and she was in the process of having gastric bypass surgery. The person had told her that you should not feel that you are ugly. There is nothing wrong with you. You have to love yourself first before you expect somebody to love you. Beauty is not the outer appearance but the inner part of you. You can be pretty on the outside but you sure can be ugly on the inside. You need to stop talking to yourself that you are ugly. You need to change that sentence and told that you are beautiful. You also need to tell your mind that God loves me and I love me for what God had created in me. It was another woman on Facebook had posted on her group page that she really truly feels that she have never been in a real relationship or even on a single date because she feel that she is unattractive, introverted, never wear any makeup and have multiple health issues that had scared some guys away. Another young lady had told her that words have life… You are speaking death to your situation, and those negative things will continue to manifest themselves in your life until You decide you want and deserve better in your life. You do deserve better and God wants the best for you. GREATER IS HE THAT IS IN US THAN HE THAT IS IN THE WORLD!!! AND LASTLY BUT NOT LEAST… THE BIBLE SAYS THAT YOU ARE BEAUTIFULLY AND WONDERFULLY MADE!!! YOU ARE MADE IN GODS IMAGE AND LIKENESS AND YOUR FATHER IS NOT UNATTRACTIVE!!! ALSO YOU ARE NOT EITHER!!! The enemy (Satan) wishes to make you feel this way… don’t let him win… find scriptures in the bible and fight your negative thoughts with those scriptures… do like Jesus did in the wilderness, combat each thought with a scripture… the battle starts in the mind, just like it did with Eve in the garden… she knew what God had said, but she allowed Satan to whisper suggestions to her that opposed Gods word… don’t repeat Eve mistake.. GOD LOVES YOU!!! AND HE SAYS YOU’re BEAUTIFUL!!!! You should not let anyone make you feel so low. You are beautiful in God eyes and he will send you the right person in your life that will love you for you. If they can’t accept you for you then you need to move on and you do deserve better. The question that you are asking me right now “What is networking?” Or “What is the purpose of networking? Networking is a common synonym for developing and maintains contacts and personal connections with a variety of people who might be helpful to you, your career or your business. Networking is a social experience where you connect and meet new people. In today’s world that networking is very important in the job market and in the business world. Have you ever heard the saying, “It’s not what you know, it’s WHO you know?” While good business or opportunity isn’t exactly a popularity contest, but networking is the important key. Networking is all about who likes you and who respects you. There is a difference between knowing someone or having someone know you and having someone like you and respect you. Before working with you or referring you to someone else, a successful person is conscious or subconsciously asking himself, “Do I like and respect this person enough to put my reputation on the line by working with her or by introducing her to someone I trust?” If their answer is “no,” networking will get you nowhere. However, if the answer is “yes,” then you will encounter so much open door of new opportunities. 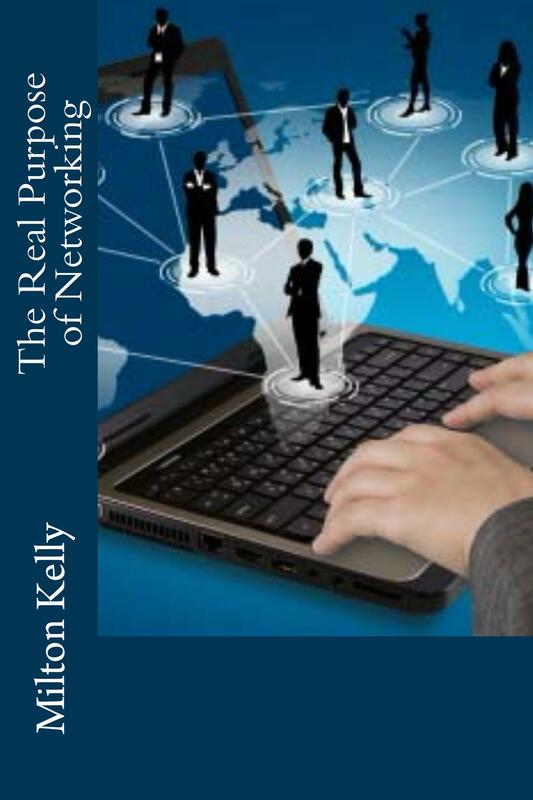 There are so many people don’t know what networking is really all about. Without question all business has one thing in common and that is a “Network.” Without network there is no business. On this night our networks will have the chance to “EXCHANGE” business cards to one another to build and become stronger as a brand. Unfortunately the brand is not on your business cards but the “BRAND IS IN YOU” and we believe if we have more brands in our society today we can grow as a whole. How to make the most of networking events. Here are some tips that will help you with your experiences at networking events. Networking Events have Different Agenda- Networking events are common and great opportunities for anyone that believes in networking. There are networking events that have different purposes so you want to make sure that you are attending the right one that will give you the support that you need. For an example if you are in the entertainment industries then you want to attend a networking event that is involved with actors/actresses, singers, producers, musicians and etc. If you are in that field then you will feel more comfortable and you will also follow your purpose in networking. That will definitely be a great way to find new opportunities. Once you make the decisions on which networking events that you want to attend then you need to make your best efforts to achieve the opportunities. Be Prepared- You need to come prepared when you are attending networking events. You need to bring business cards and plenty of them. It is a serious mistake when you don’t bring your business cards at networking events. Your business cards are a little introduction of yourself that leaves with people. Don’t Be Late- You want to get to the event at least 15 minutes before it starts. You will have a greater advantage by arriving early for the networking event because you will have a better opportunity to talk with others who are already there. Also when you are talking to the other guests that they may send you business and opportunities your way. They may also help you with solutions that you were looking for either it is for your business or career. Making Your Best Entrance- You should enter the room properly like a professional. You should enter the room with a smile on your face. Your entrance should be like you are having a purpose like you are a winner and you take ownership of the room. Nobody doesn’t want to deal with someone that has a negative attitude. You should appear in the room like you have some confidence in yourself. Remember that by being confident will attract people. You should definitely try to reach out to the host of the event and thank them for inviting you to their event. If you don’t know who is the host of the event you tried to ask someone who is working there point you into their direction. By you getting to know the host then you are starting to build a relationship with them and they also will help you with your networking journey. Also make sure you speak with the staff of the networking group of the events as well the guest speaker. Work on Your Image- Make sure your images are in part. You should always try to wear professional or business attire. You should try to stay away from jeans unless there are new or dress jeans that you will wear with dress shoes. You should never wear sneakers or slippers to networking events. You also need to make sure that your attire is neat and clean. Your hygiene is also important as well. Make sure that you smell fresh at the event. Nobody doesn’t want to smell funky at all. You should always look your best at all times when you are networking. Getting Your Pitch Ready- Some networking events have an elevator pitch. An elevator pitch is a short introduction that is usually 25words or less about yourself that will describe who you are and what you do. It should not sound like a salesman’s pitch in which you are trying to sell your products but it should be specific and explain exactly what you do. Your elevator pitch should be memorable that will be stuck in someone mind. A perfect example is if you are a web designer then you could say that I had designed an application for located different kind of businesses that are owned by African American and Latinos entrepreneurs. That will be a great way to help make your pitch the first good impression and that’s all individuals will remember about you when they leave the networking event. The most important thing to remember is the purpose of attending networking events is to meet people and the process of building relationship. You should never sit by yourself on the side or limit yourself to a few people. You should be able to mingle with many people as possible for the entire event. You need to make an effort to put your focus on each person that you are talking to and make sure that you listen as well. There is an old saying that God had given you us a mouth to open it to speak and close it to shut our mouth close. God had given us ears to listen. When we shut our mouth closed then we are able to listen. There is a time to speak and there is a time to listen. You should not be scared to make small talk. Your purpose is trying to meet new people who you might be able to do business later or work together in the future on a project. When you put your focus on the other person then you are making an attempt to make a great impression at that precious moment. When you are giving out your business cards please make sure that you are doing that with a humble spirit. Putting a smile on your face will also will help in a long way. You should take special note of each card that was handled for you by describing one word about that person. That way you will remember something about that person had caught your attention by their words and actions. It’s equally important for you to have their business cards as well in their possession. When someone gives you their business cards that all of their contact information is on that card that you will need to get in contact with them later. There is a time when you need to let go when you know that you should. Sometimes you have to be strong for yourself. Love is worth fighting for, but you can’t be the only one fighting. People need to fight for you too. If they don’t then you will eventually have to move on and realize that what you gave them was more than they were willing to give you. Some relationships and situations just can’t be fixed. If you tried to force someone to go back to a toxic relationship then it will only get worse. Holding on is being brave but letting go and moving on is often what makes us stronger and happier. You need to make a decision to embrace the next step in your life. You can either hold on to the past or you can create your own happiness today. Never let success get to your head and never let failure get to your heart. Every day is a new beginning and a new ending. Embrace it, make the best of it, smile, and keep looking straight ahead. And don’t forget, a smile doesn’t always mean a person is happy right now; sometimes it simply means they are strong enough to face their problems going forward. And remember that your mind is your private sanctuary; do not allow the negative beliefs of others to occupy it. Your skin is your barrier; do not allow others to get under it. Take control of your boundaries and what you allow yourself to absorb from others. Never let someone’s opinion become your reality. Never sacrifice who you are because someone else has a problem with it. Love the person that who you are on the inside and on the outside. No one else has the power to make you feel small unless you give them that power to do it. You are the only one who can create your happiness. In life we all going have to deal with failures but it’s up to you on how you are going to deal with it. Some will give up after their failure. They will willing to stay stuck on their failure and not to move forward. If you stay stuck on your failure you will not grow at all. Failure is a life lesson that we must follow so we can learn from our mistakes. What we learn from our failures that we can use that to our advantages to achieve our success by moving forward. Our failure is our teachers if you want to believe it or not. Just because we fail at something it doesn’t give us the right to quit. Quitters don’t win and Winners don’t quit. God don’t want his children to be stuck in their failure. As believers we must be that failure is part of our story and God wants to put a new chapter in our life. For God to do that for us in our life we must move on from our failure and open a new chapter in our life. Failure refers to the state or condition of not meeting a desirable or intended objective, and may be viewed as the opposite of success. Product failure ranges from failure to sell the product to fracture of the product, in the worst cases leading to personal injury and the province of engineering. Failure can be differentially perceived from the viewpoints of the evaluators. A person who is only interested in the final outcome of an activity would consider it to be an Outcome Failure if the core issue has not been resolved or a core need is not met. A failure can also be a process failure whereby although the activity is completed successfully, a person may still feel dissatisfied if the underlying process is perceived to be below expected standard or benchmark. Your success is right there at this moment. Success is right in front of everyone but the difference between people who reach their success and people who don’t comes down to desire. It comes down to how bad you really want it. If you are just casually going about your business you are going to just have casual success which is really no success at all. When you get and have that aggressive attitude then that attitude will say no matter what gets in my way, I am just going to move it to the side and move on until I reach the success I desire. If you have that attitude then you will be able to get anything you want. Whoever told you that you couldn’t do something with your life needs to go in a corner somewhere and sit down. You can do anything that you want and be anything that you want. You can be successful like starting your own business, finishing college, learning a new trade, starting an organization and whatever. Yes You Can! You really can. Success starts in the mind. It’s a mental attitude. It’s a lifestyle. It doesn’t just happen overnight you will have to make it happen. I have found that success begins with an “I can” attitude. Part of being successful is taking risk. You are going to have to take risk to have success in your life. You can’t not stay comfortable if you want achieve a successful life. Some of us want to stay comfortable where we at in our life but we don’t want to make a change. In life everything must change it can’t stay the same. Entrepreneurs aren’t afraid to RISK IT ALL… probably at least a dozen times in their life or maybe more. If you haven’t been posed with the question of having to RISK EVERYTHING to achieve your dreams in life… then you probably aren’t dreaming. Real entrepreneurs aren’t afraid to take risks to go for the gusto… in fact, they know that’s the ONLY way you’ll actually achieve it. Change is in front of you and not behind you. For you to make an effort to take risk you have to willing be able to change. 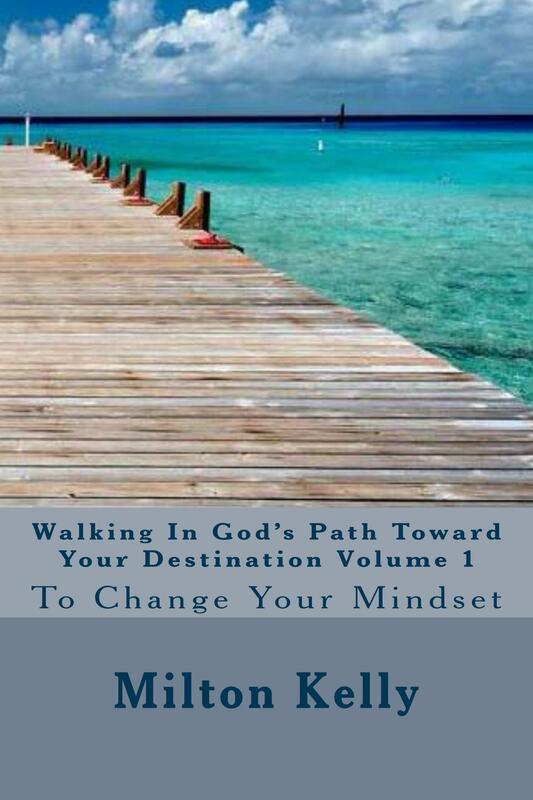 “I press toward the mark for the prize of the high calling of God in Christ Jesus.”(Philippians 3:14, KJV) Change comes in many directions so keep your mind open. “Let’s this mind be in you, which was also in Christ Jesus.” (Philippians 2:5, KJV) The keys for a successful life are HARD WORK, DETERMINATION, and NEVER QUIT. You should never quit because people who do quit will never win or be successful. Winners are not afraid of losing. Even if they do lose, they will improve their craft and skills to win. Sports athletes are prepare to win and lose. For them to win their games they are not afraid to lose the game. They will play their game to the end even if they are losing. They do not dwell on their lost but prepare to win their next games. That’s how they also win championship games as well. They do not give up. So don’t you ever give up regardless of your failure just learn from them and become victorious.